Muda Tengah: Khazanah fires eddy leong for protesting fireflyz closure? KUALA LUMPUR (Nov 23, 2011): Malaysia Airlines today announced the appointment of Ignatius Ong Ming Choy as chief operating officer of its short haul operations effective Dec 10, taking over from Datuk Eddy Leong Chin Tung. Leong will then join Destination Resorts and Hotels (DRH), a wholly-owned subsidiary of Khazanah Nasional Bhd incorporated as an investment holding company for the hotels and resorts industry, as the chief operating officer. "On behalf of Malaysia Airlines, I congratulate Leong on his new appointment as chief operating officer at DRH where I was its chairman before joining Malaysia Airlines," Ahmad Jauhari said in the statement. "Given his experience in both hotels and airline management, I am certain he will bring great value to Khazanah and will continue to work closely with the board and management team in Malaysia Airlines. 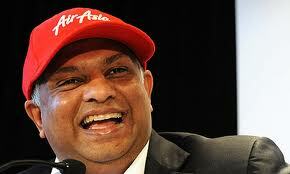 "I also welcome Ong on board Firefly to take it to further heights as Malaysia's truly community airline," he said. A chartered accountant by training, Leong joined Malaysia Airlines in June 2003 as manager, project management department. He then served in key positions before being appointed in 2007 as the first managing director of Firefly. Subsequent to the group's restructuring effective Sept 30, 2011, Leong was made chief operating officer, Short Haul Operations. Fokker 50 aircraft and evolved into a highly successful and profitable airline business currently operating a fleet of twelve ATR72-500 aircraft. Firefly now offers a niche product as a community airline, providing point-to-point connectivity for 18 destinations in Malaysia, Singapore, Indonesia and Thailand. 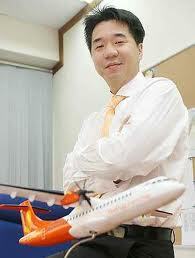 Meanwhile, Ong joined Malaysia Airlines in May 2004 as manager project Management Department. Rakyat Malaysia ditipu kononnya airasia murah?